I lived at number 75 Kipling from about 1964-1969. I remember a rusty old building that seemed to me made out of corrugated iron and as I recall it was something to do with a church or was it a youth club? There was a field directly behind our house and you could walk across the fields if the ditches weren’t there straight to Manorway school. 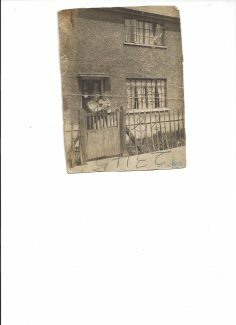 This ladies house was probably up the road a bit further towards Fort Road and more likely directly opposite the rusty building? I remember there was a load of mounds across the field that were over-grown with weeds and beyond them the farm fields and Biggin lane in the distance and Broom Hill.On the hill was the cranes from the sand quarries of Chadwell. I remember at night despite the fact that our road had no cars in it at all, cars seemed to dumped in the field out of the back of our house quite frequently and people would set them alight and I’d watch from my window. Great picture though, I went back there in 86 or 87 to try and capture images of the roads, but it had already had been demolished. I remember seeing the new Wiggins houses being built as well – Portsea Ave and Byron Gardens and thinking how posh they were in comparison to our houses. The other memory was of having the bloke in the mobile shop coming round and going out and buying stuff from the van, I’m sure that van was doing the rounds way into the 1980’s? The other thing was horses and carts, always used to see them, there were more of them in our road than cars I’m sure of it! 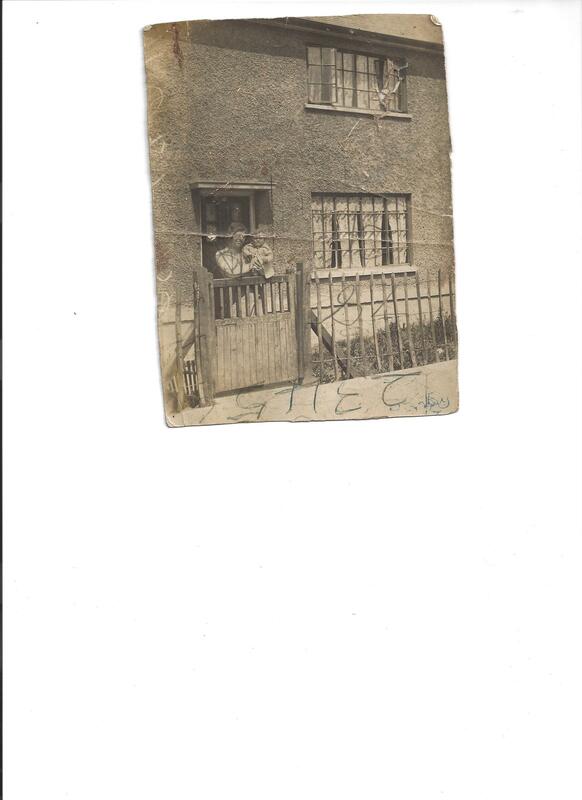 Another memory was along the road from our house, heading towards the school (Thackeray Ave)? You passed another narrow alleyway that lead back onto the fields. On the right hand side of the alleyway was a garden where the bloke kept owls in a big aviary, used to think it was a bit scary, the owls would all watch you as you walked past!